A government job once meant a degree of stability, owning a home, having a family. Earlier this month, on a cold, foggy night in the Chicago Loop, students in a public administration class at DePaul University had a conversation about whether they wanted to be public administrators. They wondered, if federal shutdowns and unpredictable governing are the State of Public Service in 2019, maybe they didn’t care to become public servants? They didn’t ask what their country could do for them. They asked why they should do for their country. They are graduate students, most in their mid-20s. They were seasoned; a handful already had worked for the federal government. But this was not what they signed up for when they considered public service — and there is statistical evidence that all of this wariness is having a toll on public administration programs nationwide. The students’ textbooks were open to a section on “General Ethical Perspectives,” textbooks that never anticipated the general perspective that the U.S. federal government might partially close someday and not pay nearly one million public servants for a month, then only weeks later veer toward yet another shutdown, because the executive branch wants to build a gigantic wall on the Mexican border. For the almost two dozen students in MPS 594 Ethical Leadership in Public Service, recent history loomed large. So Samantha Loo, their instructor, who prides herself on discussing with students the everyday ramifications of a life in government, set aside time to ask her public service students if the lurching, uncertain trajectory of government had them rethinking the future. Students said they can’t stop thinking of anxious families. In other words, working for the government now is like working anywhere. Curse the federal bureaucracy, but once, for millions, bureaucracy meant a degree of stability, owning a home, having a family. Indeed, ask around and public administration schools report that enrollment is either up or booming; the University of Chicago’s Harris School of Public Policy says enrollment doubled in as many years. That said, students at many of these schools are considering nongovernment careers in advocacy groups, nonprofits or consulting firms. Despite what local universities say, according to the Network of Schools of Public Policy, Affairs and Administration, national enrollment in public administration programs has been trending downward, particularly among those schools that have a curriculum focused on public administration at the federal level. 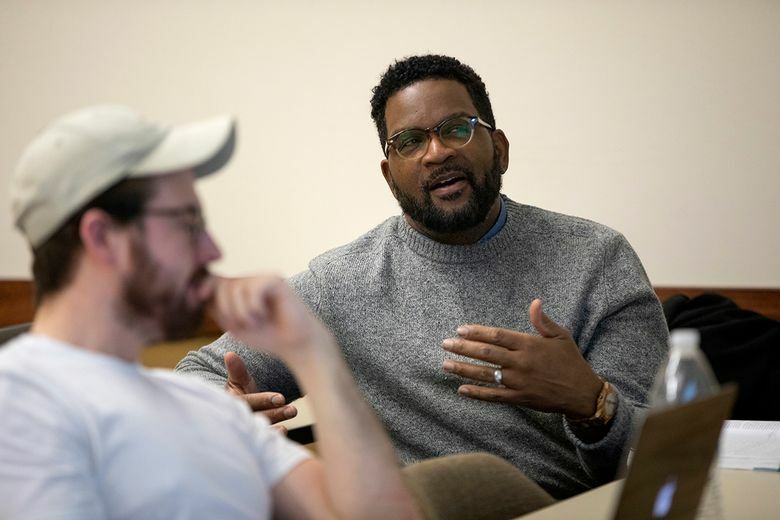 The organization, a Washington-based group that provides accreditation to more than 300 university public administration programs, plans to formally study this year how the shutdown is affecting the attitudes of students. Until then, ask a future public servant. Instead, he’s going into private consulting. Meanwhile, at DePaul, Meghan Mathew sat in the back corner. She had done two years in the Peace Corps, spent time in Zambia with developmentally disabled students. She raised her hand slowly and spoke with a toneless anger. Veronica Puryear listened and raised her hand.